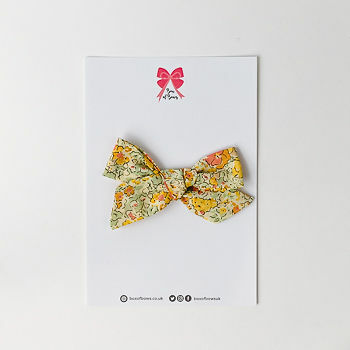 Our Layla hair bow is made from Liberty London fabric and perfect for Spring and Summer. Free delivery. Individual bows are shipped in a pink bag.